XtraTime VIDEO: East Bengal fans enjoy fan screenings! Home / Indian Football / I-League / XtraTime VIDEO: East Bengal fans enjoy fan screenings! 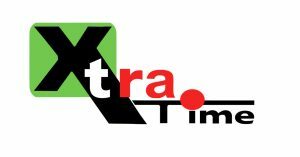 As XtraTime reports, the fans of city giants East Bengal organised screenings of the Kolkata derby across five cities in Delhi, Bangalore, Hyderabad, Guwahati, and Chennai. And with a second derby win in a row, it was celebration time at those screenings. Previous Goa Second Division: Chandan strikes double in Saligao Sporting win! Next Parma Calcio debuts new Errea ‘STRIPE iD 2019’ leisurewear collection!